What is repentance? Is repentance required for salvation? A lot people misunderstand what "repent" means. It's not just about stopping or "turning away" from your sin. Repentance is actually a change of mind and heart. When we had once been set on rejecting Jesus, we change to recognizing and having faith in Christ. Every single one of us needs repentance in regards to salvation. They go hand in hand really. Either willfully, or from ignorance, every person has rejected Christ at one point. And as we begin to truly believe in our hearts, we begin to repent, or change our minds, from rejection to recognition of Jesus as our Lord and Savior. It is impossible to separate repentance and belief. You cannot have one without the other. You cannot have faith in Christ as your Savior without first changing your mind about Who He is and what He has done. If you say you believe that Jesus is the Savior, but you don’t believe in your heart that He is, then the statement is a lie and will not save you. There is no repentance there. 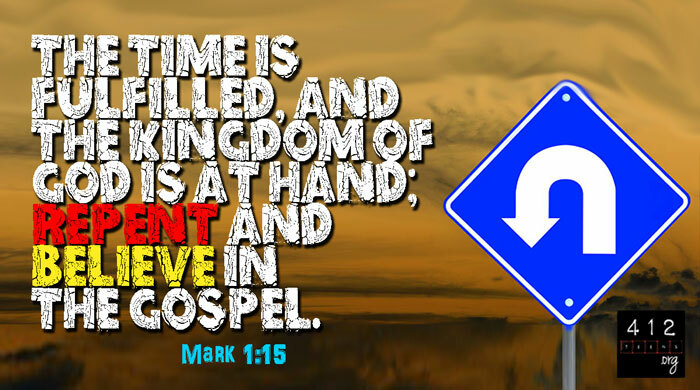 Changing your mind to believing that Jesus is God and the only path to salvation is what repentance is. Repentance equals belief. So repentance is necessary for salvation. Here's where it might get confusing. Yes, repentance (or belief in Jesus) will lead you and your actions to the life-changing, saving grace of Christ (Acts 16:31). But! Repentance is not something you do in order to earn your salvation. Can we repeat that? You cannot do anything to earn your salvation (Ephesians 2:8-9). Salvation is a free gift, and repentance is the act of accepting that gift—not earning it. No one can even begin to repent without God tugging at a person's heart and pulling that person toward Him (John 6:44). This is God drawing us near to His side, opening our eyes, and giving us the ability to recognize that we need repentance and salvation. We cannot do it alone, and God's amazing kindness and goodness doesn't give up on anyone He is drawing closer. This verse does not mean all will come to repentance, but it does mean that God desires all to come to repentance, believing that Jesus is the way to salvation. While repentance has to do with belief, it is also true that an honest change of heart and mind toward God will end up acting itself out in your words and actions. Your heart will desire to be different than you were. You cannot go on living as you did before; it just doesn't work that way (2 Corinthians 5:17, Galatians 5:19-23, James 2:14-26). Yes, you will still wrestle with sinful desires—all Christians do. But even after sinning, a repentant heart will want to refocus back onto God and get away from sin. An unrepentant heart doesn't care about the repercussions of sin and goes on without remorse or any plans to change. True repentance will lead you to wanting to bring glory to God, rather than living each day only for the world's pleasures. Repentance is not just about stopping or "turning away" from your sin. Repentance is actually a change of mind and heart. When we had once been set on rejecting Jesus, we change to recognizing and having faith in Christ. Every single one of us needs repentance in regards to salvation (Acts 2:38; Acts 11:18). You cannot have repentance without first changing your mind to believing that Jesus is God and the only path to salvation is what repentance is (Romans 10:9). Salvation is a free gift, and repentance is the act of accepting that gift.